This deluxe 2-CD set is comprised exclusively of newly discovered recordings by “Sassy” capturing the legendary jazz singer’s live performance at Rosy’s Jazz Club on May 31, 1978. 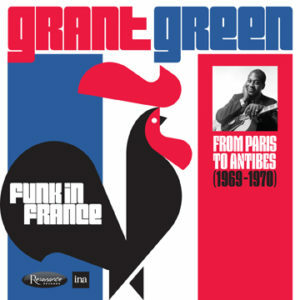 Newly discovered live recording from May 31, 1978 at Rosys Jazz Club in New Orleans. Deluxe 2-CD set with a 36-page booklet that includes essays by jazz writers James Gavin and Will Friedwald, club owner Rosy Wilson, and pianist Carl Schroeder; plus interviews with drummer Jimmy Cobb and vocalist Helen Merrill; and an intro by producer Zev Feldman. Over 100 minutes of music, originally recorded for NPR-syndicated radio program Jazz Alive with host Dr. Billy Taylor, some of which has never been aired before. Includes rare and unpublished photos from Herman Leonard, Ray Avery, Chuck Stewart, Riccardo Schwamenthal and Tom Copi. Cover art and package design by Burton Yount. Los Angeles, Ca. – Resonance Records with the cooperation of National Public Radio (NPR) is proud to announce the release of Sarah Vaughan  Live At Rosy’s, New Orleans on March 25th, 2016 The deluxe 2-CD set is comprised exclusively of newly discovered recordings by “Sassy” capturing the legendary jazz singer’s live performance at Rosy’s Jazz Club on May 31, 1978. Just after the release of the album, The U.S. 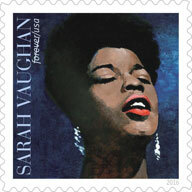 Postal Service will honor Sarah Vaughan’s legacy, by issuing a “Commemorative Forever Stamp“. The ceremony will take place at the Sarah Vaughan Concert Hall at Newark Symphony Hall, 1020 Broad Street, Newark, N.J., @ 11:00am, March 29th, 2016. Confirmed participants include: Tony Bennett, Rhonda Hamilton, Host of WBGO Radio’s Midday Jazz, Mayor Ras Baraka, Mayor of Newark, Dr. Gloria White, Pastor of Mount Zion Baptist Church, Ronald Stroman, Deputy Postmaster General and Melba Moore, Grammy Award winning Jazz Vocalist and Tony Award Winning Actress & Singer. Confirmed Performances to include: Mount Zion Baptist Church Choir, Carrie Jackson (A Tribute to Sarah Vaughan, Newark’s Own), NJPAC Jazz for Teen Ensemble (educational program), Jazzmeia Horn, Winner 2013 Sarah Vaughan Jazz Vocalist Competition and Melba Moore. In February 2011, Resonance producer Zev Feldman connected with Tim Owens, the former producer of NPR‘s weekly syndicated radio program, Jazz Alive! 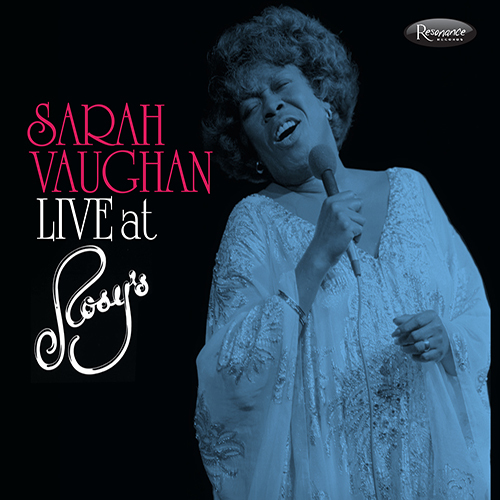 Owens mentioned to Feldman that he had Sarah Vaughan tapes of her stellar live 1978 concert performances at Rosy’s. Having performed together hundreds of times with Sassy around the world, her rhythm section  or as she referred to them, “my trio”  of pianist Carl Schroeder, bassist Walter Booker and legendary drummer Jimmy Cobb was an extremely cohesive unit by the time they got to Rosy’s in May of 1978. As the recordings in this set demonstrate, they were hand-in-glove with each other and with the great Sarah Vaughan. Sarah Vaughan, along with Billie Holiday and Ella Fitzgerald, was a member of a triumvirate  one of the three greatest female jazz singers in jazz history. She first attracted attention at 18 years of age in 1942, when she appeared at the Apollo Theater’s amateur night, first as a pianist accompanying another singer and then a few weeks later in her own right as a singer, when she won the contest. During her weeklong Apollo engagement, which was one of the prizes she earned for her victory, Billy Eckstine, who was then the featured singer with the Earl Hines big band, spotted her. Eckstine recommended her to Hines, who asked her to join his band. Other members of the Hines band were Dizzy Gillespie and Charlie Parker; it was widely regarded as one of the early breeding grounds for bebop. The musical ferment of that grouping of musical geniuses had an enormous influence on Vaughan. Vaughan had an exceptionally broad vocal range; it extended from a coloratura soprano down to a low alto  some might even say she sometimes made her way into the baritone range. Her tone was rich and lush. 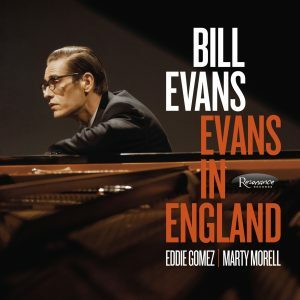 Vocalist Helen Merrill told Zev Feldman in his interview with her conducted for this release: “When Sarah sang, she might just as well have been a trumpet player playing. Her musical ability, her jazz phrasing . . . it was perfect.” She was a musicians’ singer, yet despite her extraordinary gifts, she was down to earth; she was always accepted by the musicians whom she worked with as one of them  “she was like one of the fellas,” says Jimmy Cobb. When these live recordings at Rosy’s Jazz Club were made in May of 1978, Sarah Vaughan was at her artistic peak (at age 54). That year, a kind of renaissance year for her, set her on a meteoric course during which she would win an Emmy and a Grammy and tour the world several times. Each time she released an album, Johnny Carson and Merv Griffin showcased her proudly on TV. For all the grand orchestras that backed her, Sarah Vaughan seemed happiest with her trio; they gave her the space to spread her wings and explore. I get ideas from all three of them while I’m singing,” she said. “We have a ball together, all of us, and wherever I go to work, they’re going with me.” In 1978, Vaughan and her band  pianist Carl Schroeder, bassist Walter Booker, and drummer Jimmy Cobb  performed at Rosy’s Jazz Club in New Orleans. Journalist and critic Will Friedwald takes us through Live at Rosy’s track-by-track: Gershwin, as always, is a major staple of Vaughan’s repertoire, from her classic Gershwin double songbook in 1957 to her epic symphonic jazz concerts (and album) of 25 years later. “The Man I Love” was the Divine One’s signature ballad. As with Fitzgerald, there were some songs and some lyrics that meant to more to her than others, and this song always occupied an extra special place in her heart. You’ll often hear Vaughan take a serious ballad and completely jazz it up (as she does with “April” here), but when she does this particular song, you can tell she’s only thinking about the man she loves. In 1978, “Send in the Clowns” was gradually evolving into her climactic, show-stopping number. The Sondheim song kept getting longer and longer, growing bigger and bigger as well as slower and slower, and being pushed farther and farther back in the program. 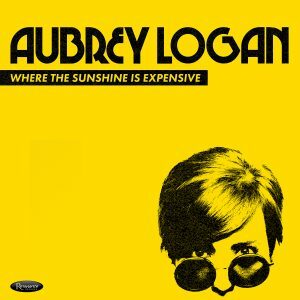 Still, it would be hard to say that Vaughan ever sang it better than she did in New Orleans: She absolutely nails it, and makes it clear why, of all the songs and shows that Sondheim has written over almost 60 years, this is easily his most beloved piece of music. When the request comes through for “A-Tisket, A-Tasket” which was, famously, her colleague Ella Fitzgerald’s first and biggest hit, Vaughan says, with mock exasperation, “Well, I’ll be damned!” Clearly, it was one thing for Vaughan to make a joke about being mistaken for another singer (earlier she had joked that she was Carmen McRae), and quite another for someone in the crowd to confuse her with Ella Fitzgerald. Yet not to be outdone, she takes it a step further, “[he] thinks I’m Lena Horne, huh?” thereby compounding the joke by dropping the name of yet a third iconic African-American vocal headliner. “Then I’ll tell you who I am when I finish,” she declares, “We got to do this,” and then flies into a whole chorus of the 1938 song. Resonance Records  a multi-GRAMMY® Award winning label (most recently for John Coltrane’s Offering: Live at Temple University for “Best Album Notes”)  prides itself in creating beautifully designed, informative packaging to accompany previously unreleased recordings by the jazz icons who grace Resonance’s catalog. Such is the case with Sarah Vaughan  Live At Rosy’s. 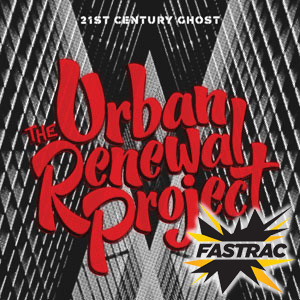 Released as a deluxe 2-CD set on March 25, 2016, this release includes nearly 90 minutes of music from National Public Radio’s series then dedicated to showcasing live jazz performances by elite jazz stars, Jazz Alive!, some of which has never been previously broadcast, along with a 36-page book, and is presented in a 6-panel digi-pak beautifully designed by Burton Yount. 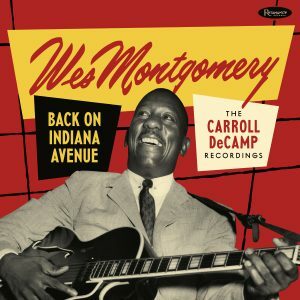 Elaborate album books replete with rare photos, and newly commissioned essays and interviews have become a trademark of Resonance Records’ historic releases. 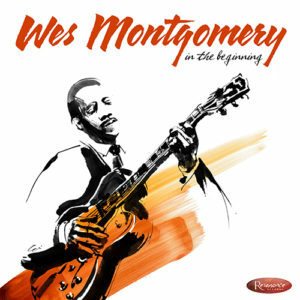 2015’s Wes Montgomery  In the Beginning included a 56-page book, and 2016’s Larry Young  In Paris: The ORTF Recordings and Thad Jones/Mel Lewis Orchestra  All My Yesterdays: The Debut 1966 Recordings at The Village Vanguard come in at 68 and 92 pages respectively. The Live at Rosy’s book will also serve as new reference material for Sarah Vaughan fans providinghistoric essays, interviews and memoirs by producer Zev Feldman, author and journalist James Gavin(author of iconic biographies of Peggy Lee, Chet Baker and Lena Horne, among others), journalist, author, critic and expert on jazz and popular singers Will Friedwald (Jazz Singing: America’s Great Voices from Bessie Smith to Bebop and Beyond; Sinatra! and many others; jazz critic regularly featured in The Wall Street Journal), Sarah Vaughan’s music director and pianist, Carl Schroeder, Rosy’s Jazz Club impresario, Rosalie Wilson and interviewees, the legendary drummer Jimmy Cobb (Miles Davis Kind of Blue) and Sarah Vaughan’s esteemed colleague and early Emarcy Records stablemate, Helen Merrill.The album book also features a collection of rare photos by Herman Leonard, Ray Avery, Chuck Stewart, Riccardo Schwamenthal and Tom Copi, as well as ephemera from Rosy’s Jazz Club at the time these recordings were made.